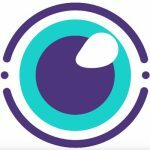 CosFans Is a Cosplay themed fetish clip site, powered by Cliptopia. CosFans accounts also work with Cliptopia and it’s possible to sell the same content on both the sites, all through the same dashboard. Anyone can register an account, and make money selling their cosplay videos on the platform. Here’s all the details. The only major requirement to get started is that you must be eighteen years or older. You’ll need a digital copy of photo ID for age verification. You’ll also need the cosplay content to sell, or all the required equipment to produce it. All genders are able to open up CosFans stores and make money selling clips and other services on the platform. Female, male and transgenders are all welcome, as well as couples and groups. The minimum payout is $50. CosFans offers multiple cashout options. There are fees associated to some of the cashout options, and some fees are contingent upon the amount of money being withdrawn. Payouts will be made on the 6th and 20th of the month. Paxum: The fee is $1 as long as the minimum is met. EU Bank Transfers: If the amount is $499 or below the fee is $40; $500-1499 the fee is $20; $1500 or more the fee is FREE. Wire Transfer: If the amount is $499 or below the fee is $40; $500-1499 the fee is $20; $1500 or more the fee is FREE. USA ACH: If the amount is $499 or below the fee is $30; $500-1499 the fee is $15; $1500 or more the fee is FREE. The main focus of CosFans is clip sales. Models are able to upload and sell their cosplay themed videos and other content types. CosFans handles all the hosting, payment processing and delivery of purchased content. Cosplay also does promotion, which drives customers looking specifically for cosplay themed content. In addition to Cosfans, your videos can also be featured on Cliptopia, and managing the two sites is done within the same dashboard. In addition to selling pre-recorded clips, it’s also possible to make money from custom content requests. Custom videos go for a lot more than recorded clips. Best of all, the custom content can be resold after it’s been produced, or a big charge can be added onto the custom order if the customer would like to keep the clip exclusive and not resold. From the dashboard, models can manage the available durations, delivery time frames for delivery, fetishes and extras that customers can request, available resolutions and all the pricing associated with everything. CosFans also allows models and studios to create subscription packages. Subscriptions are great, as they create residual income. The customers will have to keep paying the subscription renewal in order to keep accessing the content. It’s possible to create multiple different subscription packages. Choose prices for 1-month, 6-month and 12-month subscription tiers. There’s also an option to automatically add content to a subscription, once it’s reached a certain age. For example; you can automatically add clips after they’re a year old. CosFans also supports crowdfunding campaigns. Set the goal amount, a duration if any and different prizes / rewards for pledges. When creating the pledge rewards, it’s possible to make different tiers for different dollar amounts. It’s possible to indicate a specific clip uploaded to your store, as well as usernames for various social media handles (Snapchat, Instagram, Skype, ect). CosFans also makes it easy for performers to accept tips and tributes directly from their profiles. A Spoil Me tab will be added to the profile where the fan can pay a predetermined amount, or choose to pay a custom amount. Control the pre-determined suggested amounts through the dashboard admin area. A total of six different tribute tiers can be indicated. CosFans also offers a model referral program. This allows you to get paid for referring new models and studios to CosFans and Cliptopia. In order to access the model referral program, you must first open up a CosFans studio. In the dashboard, there is a referral area where you can enter email addresses to shoot out an invitation to join the site. There are two programs available: Either get $50 when the performers you invite make their first $50, or earn a 5% revshare for the first 6-months. Currently, this feature has to be requested through support. There’s plans to make it easily accessible through the admin area in the future. CosFans models can request that specific areas be blocked. Once blocked, people in those areas will not be able to access your profile or content. Individual states in the United States can be blogged, as well as specific regions for select countries, or the entire country itself. If you’re a studio or producer, you can also open up a CosFans store and sell your content. CosFans fully supports studio and producer accounts. In fact, technically all accounts are “studio accounts”. This is great if you’re planning on featuring other models on your account, or if you’re a company and not an indie performer. It’s possible to also feature all CosFans content on Cliptopia as well. Cliptopia is another adult clip site owned and operated by the same people behind CosFans. Everything is handled through the same dashboard. If you want to upload something specifically to one site or the other, you can. If you want to upload your cosplay content to both sides, you can do that as well. Signup As A CosFans Model Today! Ready to get started as a CosFans model? Signup today! The registration process is quick and easy, and you can get started in no time. CosFans is the only cosplay-themed clip store on the internet. Make money from video sales, custom content requests, subscriptions, tributes and more. All genders welcome and everyone can open up a CosFans studio.